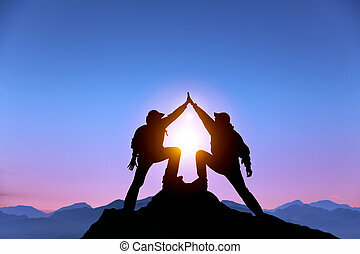 Teamwork couple helping hand trust help, silhouette success in mountains. Team of climbers man and woman. 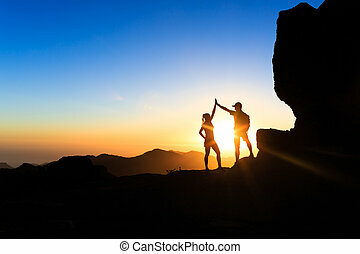 Hikers celebrate with hands up, help each other on top of mountain, climbing together, beautiful sunset landscape. 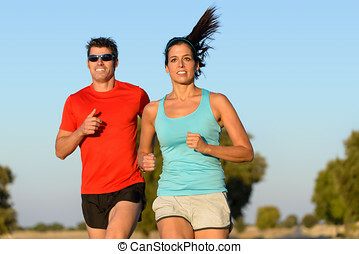 Fitness couple running in country road. 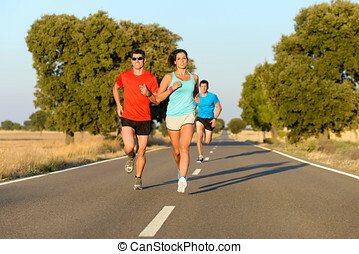 Cheerful runners training outdoors on summer for sport and healthy lifestyle. 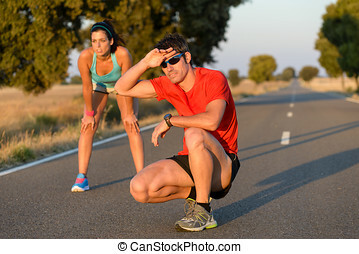 Tired fitness couple of runners sweating and taking a rest during marathon training in country road. Sweaty athletes after running hard. 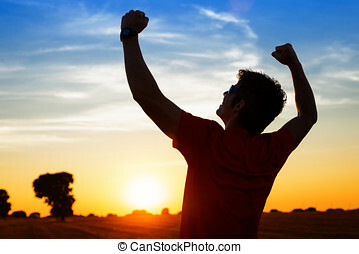 Successful man raising arms after cross track running on summer sunset. 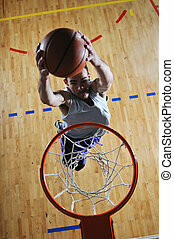 Fitness male athlete with arms up celebrating success and goals after sport exercising and working out. 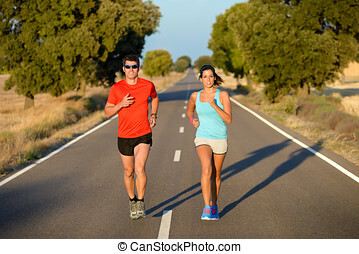 Tired fitness couple of runners sweating and taking a rest after running training in country road. 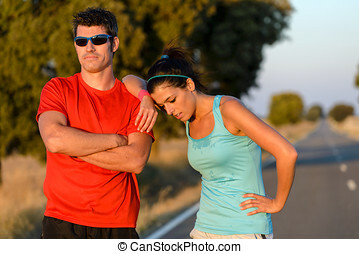 Sweaty athletes after exhausting exercising. Upset woman waiting for car help while man arguing on the cellphone with insurance service. Couple in road trip problems because of breakdown engine. 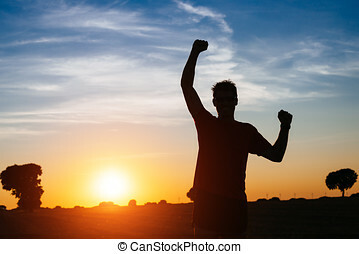 Successful man raising arms after cross country running on summer at sunset. 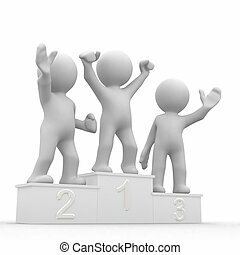 Male athlete with arms up celebrating success and sport goals after exercising and working out. 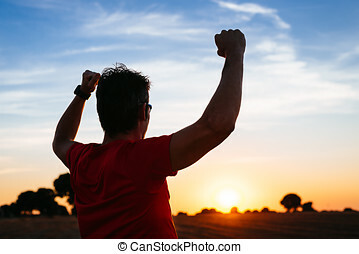 Successful man raising arms after cross country running on summer at sunset. 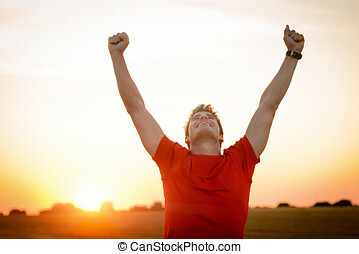 Male athlete with arms up celebrating success and freedom after sport exercising and working out. 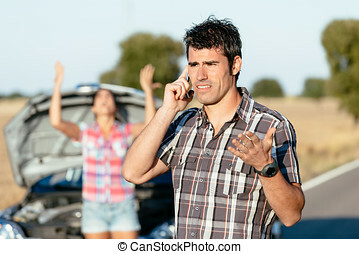 Couple arguing on the cellphone with car insurance service. 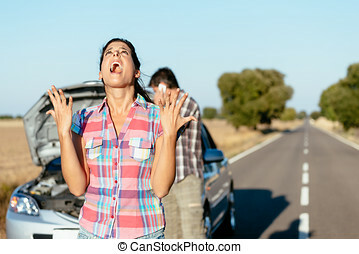 Upset couple in road trip problems because of breakdown engine. Expressive angry woman. 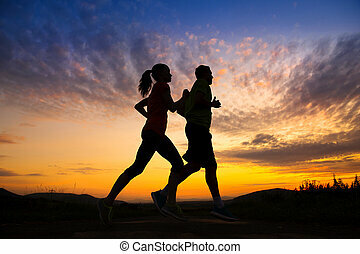 Successful sportsman raising arms on golden sky back lighting sunset summer after cross running. 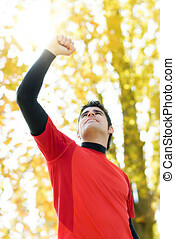 Fitness male athlete with arms up celebrating goals after sport exercising and working out outdoors. Desperate woman praying desperately because of car problems. Despair couple waiting for help after engine breakdown. Man arguing on the cellphone with car insurance service. 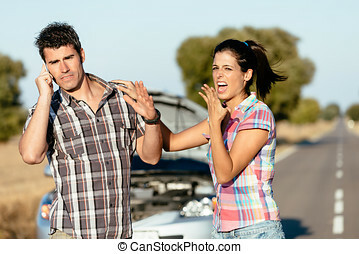 Upset couple in road trip problems because of breakdown engine. 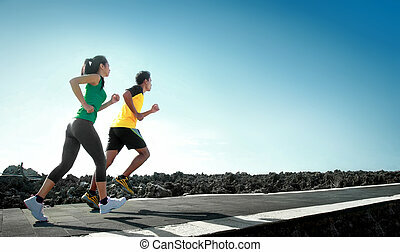 Man running with hearth rate monitor in countryside road. 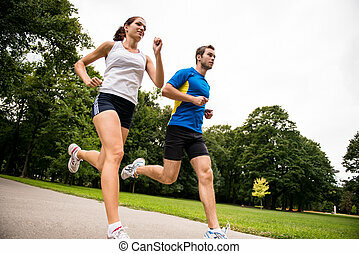 Fit naked muscular torso male athlete training for marathon run. 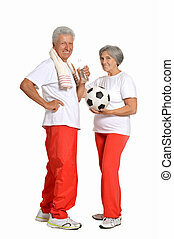 A healthy couple drinking water and eating apple for recovering after training. 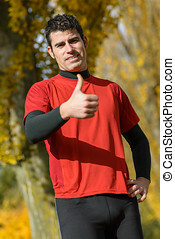 Male athlete with thumbs up. 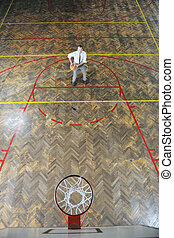 Sport caucasian man doing approving gesture. Beautiful brunette sport woman posing with self confidence. 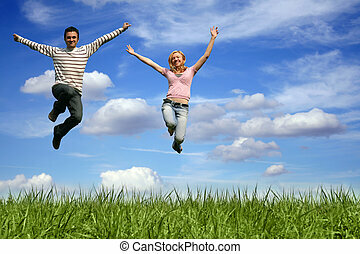 Positive and successful attitude on sky background. 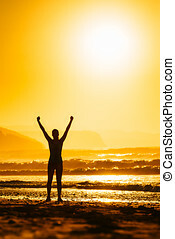 Fitness woman celebrating sport success on beautiful summer sunset or sunrise on the beach. 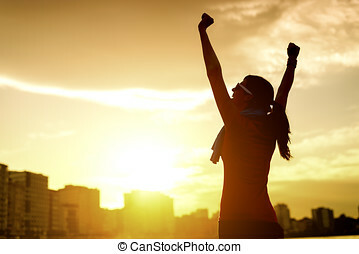 Successful female runner silhouette raising arms to the sun. Joyful young man and woman playing and laughing in a park. The woman is pushing the man from behind. 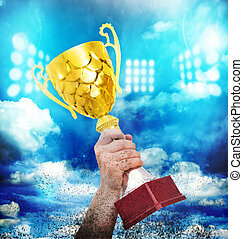 Handsome sportsman celebrating victory raising his arm and fist with sun behind. Outdoors scene in park with blur trees and nature on background. Hispanic winner male model. 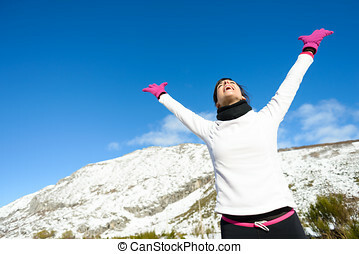 Successful happy fitness woman raising arms to the sky after sport achievement outdoor. Sporty girl enjoying freedom. 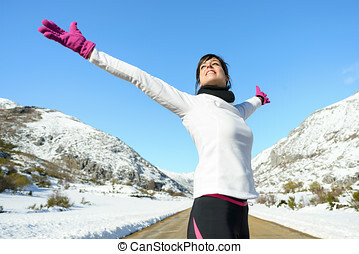 Running woman success bliss sport concept on winter road mountain background. 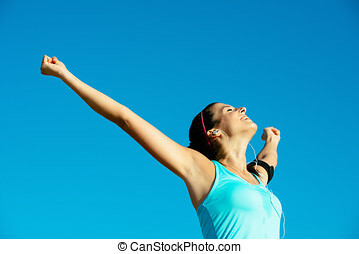 Beautiful cheerful caucasian Female athlete with arms up. 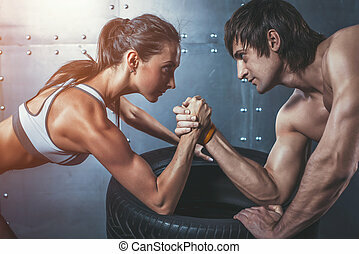 Fitness girl athlete success sport concept on winter road mountain background. 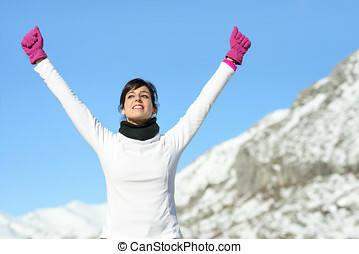 Happy beautiful cheerful caucasian female athlete with arms up. Couple of athletes taking a break, eating an apple and drinking isotonic drink. 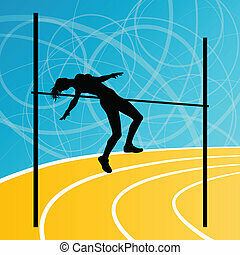 Sport and training success on winter. 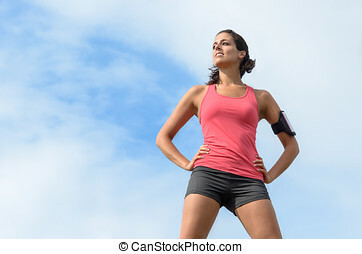 Fitness happy successful woman raising arms after achieve running and exercising goals. Caucasian model in warm winter sportswear. Couple of happy athletes taking a break, and smiling while the male drinks orange juice. Young couple of athletes sitting and drinking water and oranje juice for recovering from trainning. Successful fitness woman relaxing after exercising at beach on spring or summer. Joyful fit brunette girl celebrating sport success.